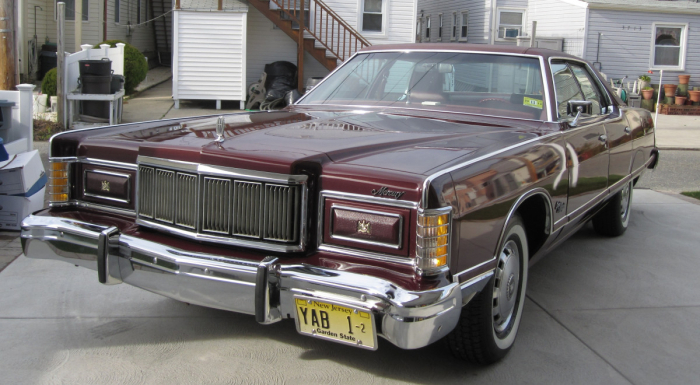 Nestled away in the basement of FBI headquarters in Detroit, up on blocks in a storage locker, gathering dust going on its fifth decade, sits the lone piece of physical evidence recovered in the still-unsolved Jimmy Hoffa murder case – a 1975 burgundy Mercury Marquis Brougham once belonging to reputed Motor City mobster, Joseph (Joey Jack) Giacalone, the son of the No. 1 suspect in the long-running investigation into the iconic labor leader’s disappearance and execution, deceased Midwest mafia don Anthony (Tony Jack) Giacalone. 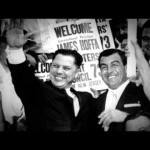 Hoffa, the relentless former Teamsters president, was killed 40 years ago this month after butting heads with the mafia regarding his plans to reclaim his post atop labor-union politics following a four-year prison term. On the afternoon Hoffa vanished, July 30, 1975, Tony Giacalone was scheduled to broker a sitdown for Hoffa and a rival union power at the Machus Red Fox restaurant in Bloomfield Twp, Michigan, less than 10 miles north of the Detroit city limits. He never showed. Neither did Hoffa’s Teamsters rival, New Jersey mafia figure Anthony (Tony Pro) Provenzano, The Giacalones’ cousin through Tony Jack’s wife. Experts contend a mix of Tony Jack’s and Tony Pro’s lieutenants made up the hit team that ultimately ended Hoffa’s life. Eye-witnesses saw Hoffa get into what the government insists was the younger Giacalone’s car and drive away with three unidentified men from the Red Fox parking lot, never to be seen again. No charges have ever been filed and no arrests have ever been made in the case to this day. 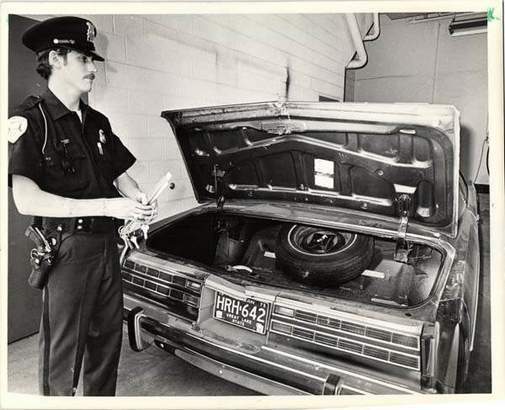 The FBI confiscated Joey Jack’s Mercury in the weeks after Hoffa’s slaying, seizing it as evidence under the belief that Hoffa was transported to his killing in the vehicle and once he was rubbed out his body was placed in the trunk and shuttled to an unspecified disposal location. Soon it was confirmed that Joey Giacalone’s Mercury was in the possession of Hoffa’s surrogate son, Giacalone family friend and Teamsters heavy Chuckie O’Brien the afternoon Hoffa went missing. During his childhood, O’Brien’s mother was romantically linked to both Tony Jack and Hoffa. Forthcoming forensics tests confirmed Hoffa’s DNA in Joey Jack’s car through a hair sample. Trained police dogs detected his scent in the trunk as well. Investigators speculate that either O’Brien was the driver responsible for scooping Hoffa and bringing him to where he was slain or for the sole purpose of “middling” a vehicle drop-off to the elder Giacalone intended for use by the assassin squad assigned to carry out the hit itself. O’Brien, who was barely on speaking terms with his foster father in the summer of 1975, admittedly took possession of the Mercury around lunch and used it to deliver a giant freshwater salmon to Teamsters executive and Hoffa loyalist Bobby Holmes’ house in Novi, then stopped at a car wash before heading on over to Tony Jack’s headquarters, the Southfield Athletic Club located on the first floor of the Traveler’s Towers office building. The fish was a gift from a fellow union member in Seattle. O’Brien arrived at the Southfield Athletic Club at 2:15, the same time Tony Jack was supposed to be meeting with Hoffa at the Red Fox five miles away. Depending on which theory you adhere to, O’Brien either left the car with Tony Jack at his base of operations to do with what he pleased, immediately went and dropped the car back with Joey Jack at his office or took off with two hit men in tow to pick Hoffa up and drive him to his pending slaughter. In his own statement to investigators, O’Brien denied that he or the vehicle had anything to do with the Hoffa killing and told authorities he never surrendered possession of Joey Jack’s car until late that afternoon when he returned it to Joey Jack at his office around 4:00 p.m. Regardless of how it went down, Joey Giacalone hasn’t seen his Mercury since August 1975. As of today, it still remains at Detroit FBI headquarters in the basement of the Patrick McNamara Federal Building off Michigan Avenue, walking distance from Hoffa’s old stomping grounds at Local 299 near the former location of historic Tigers Stadium (torn down). Chuckie O’Brien, 80, lives in retirement down in Florida and is reportedly trying to shop a book about his life. Although the feds never prosecuted Tony Giacalone for his central role in the Hoffa homicide, he didn’t escape the government’s wrath in the aftermath of the seminal event in the annals of U.S. crime. In 1976 and 1978, he was convicted on tax evasion and extortion charges respectively and imprisoned for the better half of the next decade. While he was incarcerated in an Atlanta federal correctional facility, per state police documents, the responsibility for Tony Jack’s crew fell to his family: Joey Jack, his other son, Anthony (Fat Tony) Giacalone, Jr., his nephew, modern-day Godfather Jack (Jackie the Kid) Giacalone, and his baby brother and equally-fearsome capo and future underboss Vito (Billy Jack) Giacalone – another prime suspect in the Hoffa murder. These same documents allege Joey Jack and Fat Tony Giacalone, along with their first cousin Jackie the Kid and current reputed No. 2 man in the syndicate Anthony (Chicago Tony) La Piana, were inducted into the Detroit mafia in a February 1986 ceremony, weeks following Tony Jack’s release from the pen. Informants told the FBI that the “making ceremony” was intentionally delayed a number of years so Tony Jack himself could attend and conduct the festivities. Joey Giacalone’s star continued to rise the very next year when he became a multi-millionaire via supposedly legitimate means in a lucrative eminent domain deal. The city of Detroit paid Giacalone and several of his business partners over 42 million dollars for 15 acres of semi-vacant, undeveloped property they owned on Jefferson Avenue that the city then gave to the Chrysler Corporation to build a billion-dollar automotive assembly plant. The transaction elicited dual state and federal investigations, which failed to result in any criminal charges, but did reveal that in 1984, less than three years prior to the city’s payout, Chrysler had sold a majority of the acreage to Giacalone for only $300,000. Both the city of Detroit and Motown’s bread-and-butter auto industry were known to have ties to organized crime in the past, dating as far back as Henry Ford, the undisputed Godfather of the American car business. Ford and his de-facto sergeant-at-arms Harry Bennett employed Michigan mobsters and their associates as strike breakers and on-call muscle in the 1930s and 40s. The Detroit mafia’s Downriver capo Anthony (Tony Cars) D’Anna was the syndicate’s liaison to the local auto industry until he passed away in 1984. 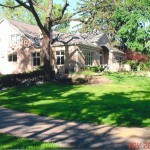 Per FBI documents, as Tony Giacalone prepared to slow down in the 1990s in his duties as day-to-day caretaker of the Motor City Italian crime family, he tapped his nephew Jackie Giacalone to be his replacement as street boss and his son Joey Jack to assume command of his crew, a regime he’d overseen starting in the late 1950s. Sometime between the government indicting Tony and Billy Jack in 1996 for a variety of racketeering offenses and Tony Jack falling ill and dying in early 2001, Tony Jack, according to these documents, demoted Joey from being the successor to his mob empire (allegedly for his erratic, indulgent behavior – he had the reputation as a “partier” since his teen years) and gave the job to his other son, Fat Tony. Tony Jack’s namesake’s reign as crew boss was short lived. Jackie Giacalone became dissatisfied with Fat Tony’s performance and leadership ability, per an internal FBI-IRS memo, and decided to reinsert Joey Jack into the slot. It’s a capo post the 63-year old is alleged to still hold today. Last year, Jackie Giacalone, 65, was anointed new overall boss of the Detroit mob. He was given the position in the final months of his predecessor Giacomo (Black Jack) Tocco’s life, after being street boss for 15 years, say Motown mafia insiders. 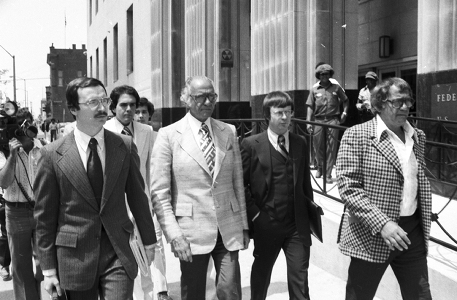 Jack Tocco, who headed the notoriously prosperous and stable vice syndicate for 35 years (39 if you include “acting” basis) died of heart failure in July 2014, like Jackie the Kid’s uncle Tony and dad Billy, a top suspect in the Hoffa homicide investigation. He was acting boss of the Family then and seen meeting with Tony Giacalone at the Southfield Athletic Club the afternoon Hoffa was done in. Tony Jack and Tocco were not close and rarely met face-to-face, despite running the mafia in Detroit in tandem for more than two decades. “They co-existed, yet were far from friends or frequent social companions,” remarked one FBI informant in the 2000s. 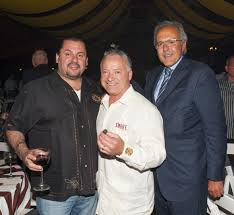 Fat Tony Giacalone succumbed to cancer in 2013 at the age of 63. At the time of his death, Fat Tony and Jackie the Kid were fighting and not speaking to each other – a fallout allegedly rooted in the demotion years earlier. Jackie the Kid is rumored to have skipped Fat Tony’s wake and funeral. Joey Giacalone is sometimes referred to as “Joe Vine” on the streets for his hobby of making his own wine (with grapes straight off the vine).